Faced with rapidly blackening bananas in the fruit bowl, I turned to the ever-popular means of using them up…banana bread. My old recipe for banana bread used wheat flour, but thankfully these non-yeast breads adapt well to using almond flour. The other big change in this recipe is the lack of processed sugar. After 3 years of efforts to really cut down our consumption of sugars, I’ve really noticed the change in my palate. I had some “autumn squash soup” at a chain restaurant recently for lunch, and was shocked at how sweet it was! Why make what should be a savory soup into something that tastes like dessert? Likewise, there is not a need to add much sweetener to banana date bread, as the dates and bananas are pretty sweet on their own. Preheat oven to 350F. 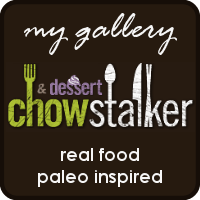 In a food processor, pulse the dates, flour, salt, baking soda, and cinnamon until the dates are chopped up and the flour has a mealy texture. Add bananas, eggs, vanilla, honey, and butter. Process until you have an even batter. Briefly pulse or stir in the chopped walnuts. Pour into a small loaf pan (I used a glass 8-1/2 x 4-1/2 inch pan). Bake 45-50 minutes, or until toothpick inserted in center comes out clean. Allow to cool before cutting. Yum, one of my favorites! 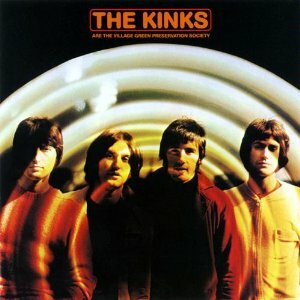 As is our musical selection, The Kinks! One of the greatest bands ever, Ray Davies was a songwriter on a stature of Dylan or Townshend. Here’s two of their best. First up, The Kinks Are The Village Green Preservation Society, which is considered by many (including the band) to be their finest moment. A perfect aural picture of English life, with great songs such as “Animal Farm” and “All of My Friends Were There”. 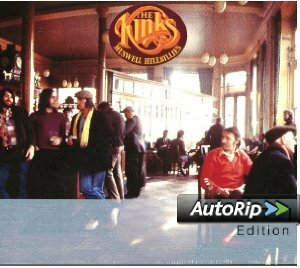 The Kinks explore country and The Band on Muswell Hillbillies, a grand collection of some of the Kinks most memorable numbers such as “20th Century Man” and “Alcohol”. Long live The Kinks! LOVE ME MY KINKS….I’m really starting to believe I would like to “clone” your entire musical library…as our tastes are so freakishly symbiotic…Ray Davies = Amazing Poet AND Musician!! Great bread! This the first gluten free quick bread that I’ve really liked! I subbed a 1/4 of the almond flour with coconut flour for more fiber and fullness. I included a little applesauce because coconut flour absorbs liquid. This is the best recipe! Thanks! This entry was posted on October 26, 2013 by She cooks...He cleans in Brunch, For the Sweet Tooth and tagged almond flour, baked, baking, banana, bread, dairy optional, dates, easy, gluten free, grain free, honey, low-carb, nuts, paleo, primal, quick, quick breads, recipe, ripe bananas, toasted, walnuts.